Mumbai is a city that never sleeps. While it has a plethora of activities and socialisation opportunities to offer. But it lacks the connect with the nature. However, we Mumbaikars are blessed with a good transportation system that enables us to pack our bags and shoot off! Why not take full advantage of this boon? 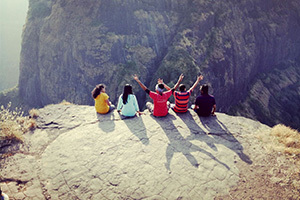 Small Steps Adventures shares their top 6 rocking adventures near Mumbai. Utilise your upcoming weekend justly and make it worthwhile. Pawana Lake is a man-made lake located near Lonavala. However, the surrounding is picturesque and peaceful. This makes it an ideal destination for camping. 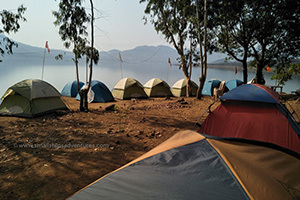 If you are not in a mood for a trek, then you can register yourself for an overnight camp at Pawana Lake. Enjoy your stay with a delicious BBQ spread in the evening. In the morning, wake up to witness a beautiful sunrise. Indulge in some water sports or simply have a lazy swim in the lake if you wish to unwind. The tiny village of Kolad is on the list of all. Nowadays, it is gaining importance as an adventure sports destination providing facilities for river rafting, kayaking, and rappelling. 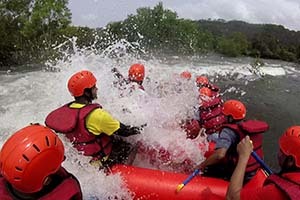 It is the best place for river rafting adventure near Mumbai. It is home to the River Kundalika which provides excellent opportunities for white water rafting. One can participate in additional adventure activities available and welcome the night with a campfire and memories in making! One of the most sought after trekking locations. 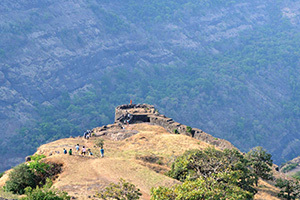 It is considered to be one of the most fascinating treks near Mumbai. There are various routes to approach Rajmachi but the easiest one is the hike from Lonavala which is at a distance of 15 km. 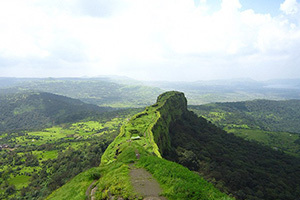 Rajmachi is known for its two forts – the Shrivardhan Fort and the Manoranjan Fort constructed by Shivaji Maharaj. This is a camp where campers enjoy a lot as they learn to pitch tents, play recreational games and indulge in star gazing. The next morning is usually spent by taking a short hike in the vicinity and witnessing the jaw-dropping surroundings of the mountains and the valleys. There are many options for weekend treks from Mumbai, but Lohagad is the best for beginners. It is very easy to go for Lohagad trek from Mumbai due to the availability of transportation. The fort is well preserved and offers an excellent view of the surrounding areas. Considered as the twin fort of the adjoining fort of Visapur, Lohagad is very easy to scale due to the presence of well-maintained steps. Hence, it is an excellent option for people who cannot manage to go on physically exerting treks. Today, the fort still houses the five gates and the high walls that kept intruders at bay. An interesting feature of the fort is the Vinchu kata (scorpion’s tail). Though a part of it is damaged, it is still considered safe for trekkers to tread there. One of the best trekking adventure near Mumbai. Situated between Panvel and Matheran, Prabalgad is a rocky plateau. This place is perfect for those who enjoy their periodic dose of adventure. PrabalMachi is the base village for commencing the Prabalgad fort trek. It is preferred to reach there during the previous evening. Once there, enjoy piping hot dinner. Post Supper, learn to set –up tents. One can amble near the edge of PrabalMachi to see the electric lights buzzing over urban towns located far away yet still visible! 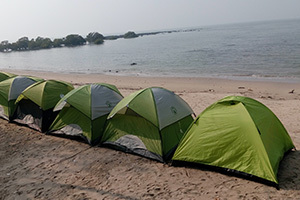 Although Alibaug is a popular weekend getaway among Mumbaikars, they do not get to enjoy a camping experience near the beach! If you are looking to make your stay memorable, head out to Kashid which is located close to Alibaug. It is an equally beautiful place with a serene beach. Enjoy a boat ride and have a sumptuous dinner by the beach with numerous opportunities to click landscape photographs and the much popular selfies with your family!